Your high school reunion is coming up fast and you need something that radiates your success and excellent taste, but doesn’t make you look like you’re trying too hard. These are our ten picks. Unlike the (still lovely) Mercedes S-Class, an Audi A8 looks expensive but isn’t too ostentatious. Audi is really the master of understated luxury, and isn’t that just what you need at a high school reunion parking lot? The V60 R-Design is the best choice for the one who has kids, but is too cool and stylish to blend in with a boring three-row crossover. Classic roadsters always make a statement, and the W113 “Pagoda” SL is probably the most elegant of them all. No matter who you are, this car will make you and your date (if applicable) look good. It’s a crazy Italian sports car, but because it’s an Alfa Romeo no one will know what the hell they’re looking at. Ferraris and Lambos are great, but because of their name recognition people will think you’re trying too hard. An Alfa is an esoteric connoisseur’s choice. It’s beautiful and attention grabbing, but it won’t make people hate you. If you want to be the center of attention, show up in a car that looks like it was beamed down from 20 years in the future. The i8 attracts a crowd and puts smiles on people’s faces wherever it goes, so if that’s your intention, here’s your car. With the right colors and wheels, these things have a presence like nothing else. Here’s the thing about the P85D: it impresses everyone. 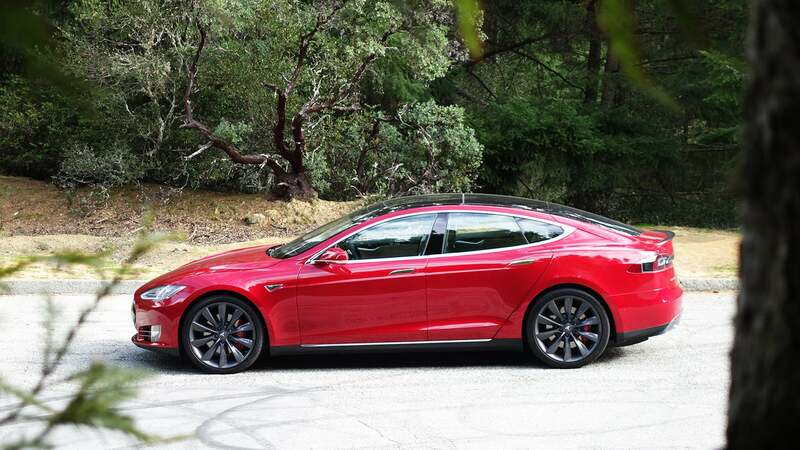 Normal people recognize it as a luxurious status symbol, environmentalists love its electric powertrain, tech junkies love its forward thinking approach and elegant design, and gearheads will dig its performance. Seems like a win, win, win, win to me. Everyone loves the D (sorry, had too). You’ll make a hell of an entrance (and exit) with a car that looks as good, and is as loud as an F-Type R Coupe. Most of the other cars on this list are luxurious, sporty, and understated. A Baja Bug is none of those things, so why am I including it on the list? Because a Baja Bug is a wonderful, classless joy-machine that will make everyone happy. Fact: it is impossible to hate a Baja Bug. If a more elegant, classy, understated car has ever been made I haven’t heard of it. Forget high school reunions — if you need to make a statement anywhere, a Citroën SM is the car to do it in. With an SM, everyone else looks like they’re trying too hard, no matter what they’re driving. You will arrive in peerless style — just as long as the car actually makes it there.